North County San Diego has some great live music venues. 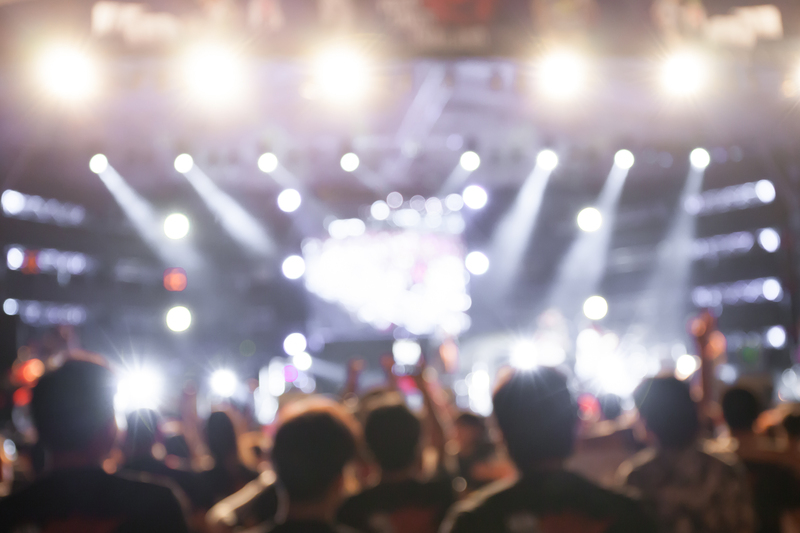 From small quaint coffee shops to large stadiums you can find live music all over. *Contingent on the venue, please confirm. There aren’t many nightclubs in North County, but Club M would definitely qualify as one. Part of the Fairmont Grand Del Mar, Club M offers an upscale evening that’s equally inviting to an older and younger crowd. Live music is featured Friday and Saturday nights. Great place to go watch people, the sunset, and music. L’Auberge Del Mar can be a “Scene”, but if that’s what you’re after, how is that a bad thing? Celebrity Chef Brian Malarkey (Top Chef) set out to have a restaurant with: a casual dining experience, New American food, and a great social environment. He succeeded. Searsucker is a popular inland Del Mar spot with Live Music (and all night Happy Hour) on Wednesday nights. Sundays offers a mellower experience with acoustic bands during brunch. Designed to be the place where you want to hang out with friends, listen to music and stay, Searsucker hits all the right notes. Zel’s is a great neighborhood bar with good food and a dog-friendly patio. Featuring San Diego’s top acoustic Blues, Jazz, and Classic Rock musicians, Zel’s has music every Thursday, Friday and Saturday Night. New music from Independent Singer/Songwriters is showcased during Open Mic Nights on Sundays. Peaking during race season, En Fuego brings the party to Del Mar. Serving Coastal Mexican Food and a plethora of Margarita options, En Fuego is a fun upbeat place before and after the races. Live music is featured Sunday and Wednesday Nights. The Del Mar Fair, the Horse Races, Kaboo; music and entertainment of all sorts flow through this venue. Catch bigger entertainers from all genres here. Ample parking and shuttle service provided for larger events. Across the street from the Fairgrounds for more than 25 years, Red Tracton’s serves up it’s steak in gigantic portions. Enjoy fine food, impeccable service, and live music, in the Lounge and Piano Bar most nights of the week. Click on their website and the first thing you’ll see is “Booze and Rock n’ Roll”, that sums it up for this small venue by the beach. Featuring live music every Thursday night, Saddle Bar is fairly straight up with its offerings of drinks and music. Open 3 pm – Midnight daily, Crush offers a lively atmosphere with an upscale dining experience and wood fired pizza. Live music and a late night menu, 7 days a week. Just across the 101 from the waves, Tower 13 makes everyone feel like a local. Chill beach vibes and a friendly staff make listening to a band even better. Cheap drinks, great bands. That’s really all you need to know. Right across from the beach this place doesn’t pretend to be what it’s not. Because of that, they have a strong local following that enjoys just what they offer. Live music most nights, look at schedule first. Union is a place that captures the youth and vitality of Swamis in a restaurant. Beach surf culture, with great food and a lively atmosphere. Featuring live music regularly, check the schedule for dates and times. In Encinitas, between the Ocean and the train station, Solace provides a modern space, delicious food and live music every Sunday. Sunday nights also feature $1.50 Chef’s choice oysters, drink specials, and fried chicken. The Saloon has been serving cocktails in a no-frills environment since 1934. With live music on Wednesdays, the Saloon can get packed – they do offer booth reservations on their Website. A great neighborhood resource, overlooking the ocean, in a beautiful new building, the Encinitas library offers a bevy of music options. Free music Wednesdays, First Sundays Music Series, ticketed Concerts and International Festivals, the Encinitas Library showcases multiple music styles. The Roxy Encinitas is a coast highway staple. Remodeled with a new menu, The Roxy features live music almost daily. Mr. Peabody’s in Encinitas enjoys a party! Extensive Happy Hours and live music almost daily make this a great place to hang out! Local Chicago Pizza place with an extensive list of draft beer. Rosati’s tends to get crowded, so call ahead to check in! Live music every Tuesday night. Specializing in traditional Italian food, Vigilucci’s is a Coastal fave. They have a wood-burning brick oven for pizzas, and a pianist every night at 6 pm. Perfect place for that romantic evening. Think of your local watering-hole, add fine dining with an emphasis on ingredients, and you’ll get Priority Public House. A great vibe, open windows that overlook Hwy 101, friendly staff, and live music. Solterra is a working winery just off the coast in Leucadia. Utilizing grapes from Southern California and Valle de Guadalupe, Mexico, Solterra ages their wine in French Oak barrels on site. Occasional Live Music adds to the ambiance. Highway 101 dining at its best. Papagayo offers a unique fusion of Mediterranean and Latin food that truly works. The walls are lined with local art for sale and live music is featured daily. Located at the Cape Rey Hilton Resort, Chandler’s has a friendly atmosphere that welcomes tourists and locals alike. Covered and open patios overlook Hwy 101 and the coast making it a great spot to watch sunsets. Featuring live music throughout the year, Chandlers ups the ante during the summer and has live acts Thursday, Friday and Saturday nights. With a great view of inland Carlsbad, Ignite is always buzzing with people. The whole place has a great ambience and friendly feel. Sunday Brunch has bottomless mimosas from 10am-3pm with live music featured during that time, from 11am-2pm. A warm and cozy neighborhood coffee shop. La Costa Coffee roasts their beans on-site, has live music and features open mics every first Saturday of the month. Seafire is a casual restaurant in southern Carlsbad that specializes in Mediterranean Cuisine and wood-fired pizzas. Outside on the patio, Seafire hosts local bands four nights a week! Watch planes land and take off at the Palomar airport. Practically on the tarmac, The Landings is a quaint restaurant with a long bar and cozy patio. A local hidden gem with occasional live music. Part of the Sheraton Carlsbad resort, Twenty/20 offers great sunset views and a lovely patio with a cozy fireplace. A hidden Carlsbad gem, a casual friendly atmosphere makes Twenty/20 a go-to spot. On Saturday nights, kick back on the Terrace and watch local favorites perform. Relaxed British Tavern that has darts and opens for soccer and rugby. No frills, food, craft beer, full bar, live music. Local favorite located in Carlsbad Village. Catering to a more mature crowd, Coyote has a great patio with fire pits and karaoke or live music. Very popular on weekends. Catch up with the locals, shoot some pool, and listen to a band. Boar Cross’n is an unassuming place with multiple pool tables and a back patio that allows smoking. Nothing fancy, but the place to see local rock and punk bands. Homey Irish Pub in Carlsbad, O’Sullivan’s has live music, dog-friendly patios, and an Irish inspired menu. Live music 5 nights a week. Irish Pub in the heart of Carlsbad Village. Hennessey’s atmospheric patios, a friendly staff and lots of locals make this place a good place to be. Live music is weekly Thursday-Saturday at 9 pm, with additional patio music Saturdays at 6 pm. A locals favorite in south Oceanside, Pour House offers a great food and drink menu. Faves are the Mac and Cheese and Truffle Fries. They also feature Live Music every day. Larry’s is an unassuming dive bar in Oceanside that prides itself on offering straightforward service. Catering to an older crowd, Larry’s features live bands on the weekends. Good food, a casual atmosphere and friendly service, make this a go-to Oceanside spot. The interior is open, and massive with an Industrial flair. Just beginning to feature Live Music see calendar for dates that local bands will be performing. A converted garage on the coast highway houses this small tap house. With lots of beer and occasional food trucks, live music adds a nice little touch. Just up from the beach in Oceanside Hello Betty serves a SoCal menu with a lively atmosphere. Hello Betty is hosting Tunes at Twilight, from 6pm-9pm on their rooftop deck. Midnight Jack brews craft beers that are inspired by Prohibition Era recipes. With a large tasting room and game room, the atmosphere is pretty straightforward. Find live music Friday and Saturday Nights. Off the beaten path, you’ll find Legacy Brewing Company hidden in an industrial area near the Oceanside Airport. Great beer, a clean atmosphere, dog-friendly. Legacy feature live music often. Overlooking Oceanside Harbor Rockin’ Baja offers Mexican food with a great view. Live music on Tuesday and Wednesday evenings. Sanctuary Lounge offers an Inland late-night retreat. Leather couches, darts, full bar, cigar room and patio, all make Sanctuary a great neighborhood spot when you don’t want to drive to a club. Live music featured often. Poway’s Irish Pub has a die-hard local following. There to hang out, play pool, and chat with their favorite bartenders, the regulars give the place a family feel. Poway Center for the Performing Arts is a beautiful theater nestled in the heart of Poway. With a wide range of events, from ballet to comedy, the Poway Center is a wonderful choice for an upscale evening out. Expect to find entertainers such as Kansas and Aaron Neville. Small little restaurant and cafe that specializes in Sweet and Savory Crepes of all kinds. The Wholly Crepe features live music often. Bernardo Winery is the oldest working winery in Southern California. Escape the suburban sprawl and retreat to an old-world village, with restaurants, tasting tours and more, Bernardo Winery is a must visit location. Live music is featured every Sunday on the Tasting Room Patio from 2pm-5pm. At the Rancho Bernardo Inn Avant is decadence defined. This upscale dining experience is lush in atmosphere and taste. Experience beautiful dishes and live music nightly. Executive Chef, Scott Cannon, is nominated for Zagat’s 2017, 30 Under 30 National list. Attached to Abnormal Beer and Urban Winery, Cork & Craft’s menu shines brightly. The interior is modern industrial with brick, brass and Edison lights. Vast interior, dog-friendly patio. Dolce has the kind of atmosphere that’s casual and inviting, but equally suitable for fancy occasions. With a great wine list, Farm-to-table California menu and plenty of parking Dolce is a great place to sit with the people you love. Live music every Saturday. Wokou Ramen is a fast-casual restaurant in Pacific Highlands Ranch Village that features Ramen and Bao Bao. Wokou brings local, handcrafted food and drink to suburbia and helps break the banality of big chains. On Fridays enjoy late night food with local musicians. Downtown Escondido is fortunate to have such a wonderful resource. The California Center for the Arts not only hosts big name artists, but it also has free concerts for locals. Check the calendar and enjoy! Inviting Irish Pub in Escondido, O’Sullivan’s has live music, dog-friendly patios, and an Irish inspired menu. Beautiful grounds and wonderful architecture make Stone Brewery a go-to place in western Escondido. Farm to Table, with 36 craft and specialty beers on tap, and extensive wine list, Stone Brewery is an amazing place to relax and listen to music. You don’t need the ocean to have a water view. The Lakehouse, located on Lake San Marcos, has an amazing lake view. With lots of dining and recreation options, the Lakehouse Hotel and Resort is fun for visitors and locals alike. Special live music events are scheduled regularly. Jazz Music and Thai Food. Odd combination, but this quaint San Marcos Restaurant makes it work. Part of Nattiya’s Thai restaurant, Northern Spirits stays open late and has live Jazz Friday and Saturday nights. The North County live music go-to for all ages, Millennials to Baby Boomers, this place hosts it all. Local Happy Hour bands, cover bands, reggae, rock, hip-hop, etc, this is the best venue for tours and dancing in North County. The Belching Beaver is a brewery in the heart of Vista with a casual setting and a great patio. Enjoy live music weekly. Lush Coffee & Tea is a small Vista coffee house that focuses on Organic Free Trade ingredients. Live music is offered throughout the week.